HomeDolores River: #Snowpack = 3 month rafting release? Dolores River: #Snowpack = 3 month rafting release? The most probable runoff forecast shows inflow of 440,000 acre-feet for April through July, enough to fill McPhee Reservoir and provide more than a three-month rafting release below the dam. The predicted runoff will fill the reservoir for farmers, with 270,000 acre feet potentially available for whitewater release below the dam. That is enough for an estimated 116-day boating season for approximately 100 miles between the Bradfield Bridge and Bedrock. By comparison, in 2016, only about 30,000 acre-feet was available for a whitewater release below McPhee Dam, which generated about 10 days of boating flows. Should the current forecast hold, operators will be able to provide releases of 800 cubic feet per second (cfs) and greater for about 67 days, with flows greater than 2,000 cfs for 45 days, and peak flows of 4,000 cfs for four days. Several ecological benefits also will be realized from a release of that magnitude. The data in the March 1 operating plan is provisional and subject to change because of Dolores River inflow, future precipitation, weather patterns, managed release criteria and use. The Dolores Water Conservancy District will be the primary source of information pertaining to release schedules and updates this spring. It will have a newly remodeled website at doloreswater.com. Last year, the whitewater release lasted about 10 days and only peaked at 1,000 cfs. Before that, there had not been a release since 2011 because of drought conditions and low snowpack. 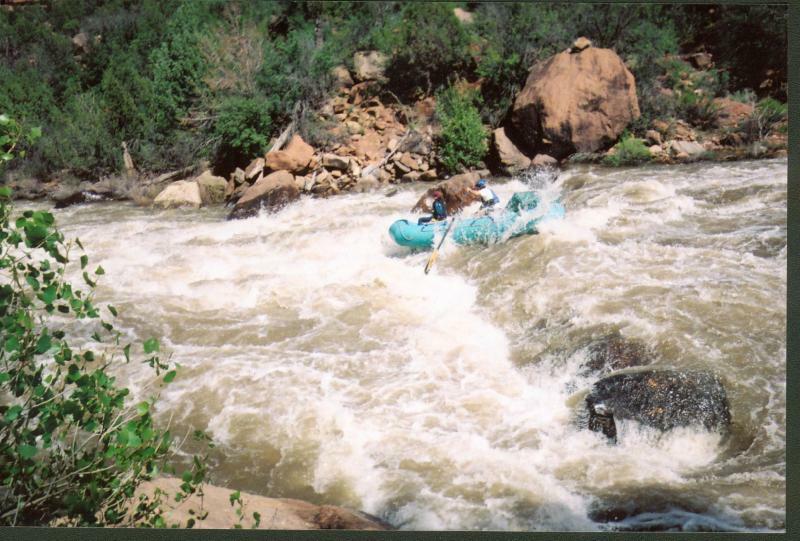 The main Lower Dolores River boating run stretches for 100 miles through winding, red-rock canyons interspersed with rapids ranging from Class I to Class IV. It is considered one of the premiere multiday boat trips in the nation when it has enough water to run. No permit is required.